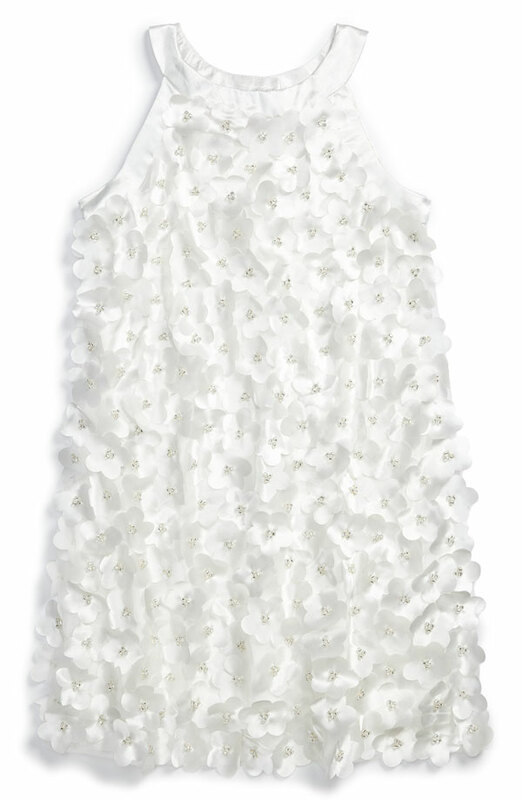 Biscotti Dresses An exuberant field of flowers covers the mesh overlay of a sleeveless satin party dress that fastens with a single fabric-covered button at the back neck. Fully lined. Polyester. Dry clean.